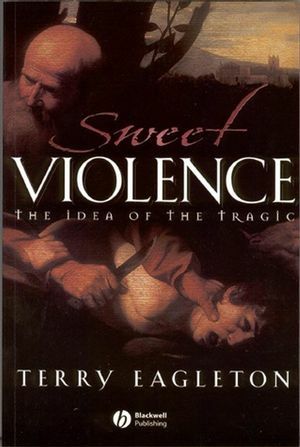 Terry Eagleton's Tragedy provides a major critical and analytical account of the concept of 'tragedy' from its origins in the Ancient world right down to the twenty-first century. A major new intellectual endeavour from one of the world's finest, and most controversial, cultural theorists. Provides an analytical account of the concept of 'tragedy' from its origins in the ancient world to the present day. Explores the idea of the 'tragic' across all genres of writing, as well as in philosophy, politics, religion and psychology, and throughout western culture. Considers the psychological, religious and socio-political implications and consequences of our fascination with the tragic. Terry Eagleton is Professor of Cultural Theory and John Rylands Fellow at the University of Manchester. His numerous works include The Illusions of Postmodernism (1996), Literary Theory: An Introduction (second edition, 1996), The Ideology of the Aesthetic (1990), Scholars and Rebels in Nineteenth Century Ireland (1999), and The Idea of Culture (2000), all published by Blackwell, as are his dramatic writings, St Oscar and Other Plays (1997), and the Eagleton Reader (1997) edited by Stephen Regan. His memoir The Gatekeeper was published in 2002. 1. A Theory in Ruins. 2. The Value of Agony. 3. From Hegel to Beckett. 5. Freedom, Fate and Justice. 6. Pity, Fear and Pleasure. 7. Tragedy and the Novel.